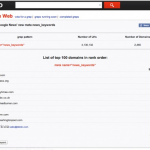 Home » See What Magneto Store Development From Webati Has to Offer For Your Business! 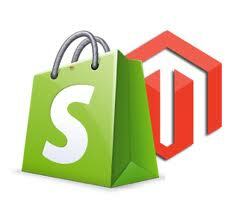 At Webati, we consider Magneto store development to be the next big breakthrough in e-commerce store development. If you look around you, you will quickly notice that e-commerce is exploding all around us. It would be quite difficult to find a business today that does not have some form of Internet presence. 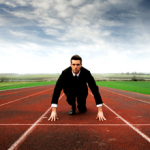 A formidable online presence is critical for a modern business to thrive and to gain a leg up on their competition. Due to the demand, new cutting edge e-commerce technologies are emerging all of the time. One of the most popular new technologies is Magneto, and Webati has worked hard to gain extensive experience when it comes to Magneto store development. If you are familiar with the technology, Magneto could best be described as an open source, customizable platform that offers a number of exciting features, many of which cannot be found elsewhere. Magneto store development from Webati is actually quite affordable, but you can still count upon it to deliver high quality results and a user friendly interface. These are the same features that you would find in much more expensive e-commerce solutions. Because Magneto is user friendly, it will be simple for your site’s customers to navigate, but the benefits aren’t just limited to your clients. 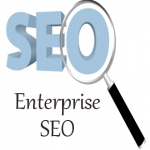 As the owner and operator of your business’s site, you will find it much easier to manage than other platforms. One of the biggest benefits from Magneto store development is that it allows your products to be showcased, and it will offer you a wide array of options when it comes to marketing your products and highlighting their best features. In turn, this will aid you in making more sales. Additionally, Magneto makes it simple for you to choose a new theme for your online store or to just create a new one from scratch altogether. Magneto store development from Webati is ultimately going to assist you in streamlining your customer management processes. It essentially allows your clients to create user profiles that will allow them to track their order information, shipping, and other details. At Webati, we maintain an in house team of developers that specialize exclusively in Magneto store development and programming. With their technical skills and expertise, they will be able to create an e-commerce solution that perfectly meets your business’s unique needs. Remember that only the true experts are going to be able to design the Magneto store development that has all of your required features. If you are curious about what Magneto can do for your business, give us a call today. We will set up a 100% free consultation for you where we will be able to provide a custom quote based upon your particular needs. Let’s get started today!